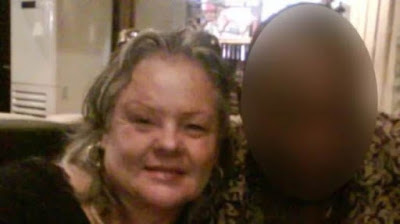 62-year-old Maria Grette was a divorcee whose friends teased to give love another chance after few years. The native of Sweden was then helped by her friends to create a profile on an online dating website. Since it was her friends that playfully created the online profile, she didn’t really put her mind to it. Ms Grette, who works as an arts teacher, painter and arts therapist, didn’t give much further thought to the website. Ms Grette and Johnny They got on by messaging each other day by day until he called her using a UK number. “I received messages telling me that people had contacted me, but I never looked at them,” she said. Then, one day, she did. “I still don’t know why. It was like a sudden impulse happening before I could stop it. I was caught up by the atmosphere and by something in his words,” she said. That particular message was from a man, Johnny, who described himself as a 58-year-old Danish man raised in South Carolina, USA; a civil engineer working on a contract in England; a widower with a son in a Manchester university. They got on by messaging each other day by day until he called her using a UK number. Ms Grette, who had lived in different countries across Europe, was surprised that she could not place the man’s accent. She mentioned this to him but didn’t give it too much thought. He told her that he was planning for his retirement; had Sweden in mind for a place to settle; owned a house in Denmark inherited from his parents; wanted to leave that to his son, Nick, who was very attached to it, while he looked for a new home for himself in Sweden. Three months on, Johnny agreed to come over and visit Ms Grette in Sweden. But before that, he and his son needed to make a quick trip to Nigeria for a job interview, according to him. Johnny was said to have called Ms Grette to let her know that he was at Heathrow Airport. And to say that he had landed in Nigeria. He also got her to speak with Nick. The next phone call was to tell her that he was in a Lagos hospital. They had been mugged, his son shot in the head, and they were without money and papers. His bank does not have a branch in Africa, so he couldn’t transfer money from his UK account. And the hospital management was asking for a whooping €1000 to start treatment. I will never forget how I rushed to the Western Union office, trembling while I did the transfer. All I could think of was to get the two persons in Nigeria out of danger,” Ms Grette said. Well, after the first transfer, it was more medical complications which required more money everyday. This made her come back to her senses and she stopped responding to Johnny’s messages. His name isn’t Johnny. He was a 24-year-old Nigerian 419 scammer. He had finished university two years earlier but had no job. He went further to describe himself as a “devil” who had wronged “a lovely woman”. From then on, Ms Grette said their relationship took a new turn. There were no further requests for cash. And it was pure friendship. She became consumed with what she describes as “a profound need to make a difference to the people of Nigeria”. In October 2009, Ms Grette came to Nigeria to meet him and this even made their communication wax stronger as she set her eyes on him at the airport in Abuja. During her two weeks stay in Nigeria, she met his friends, many of whom were also scammers. It was while enjoying their company one night in a local bar that she began to wonder how she could make a difference. Aside from arranging for young artists to visit Europe for arts exhibitions, workshops, conferences and competitions, Ms Grette who is now 69, also helped Johnny to leave Nigeria, to study in America. Although they have not met each other again since, she continued to provide him with financial assistance until he completed his degree a few years ago and got a job in the American oil sector. “He is very dear to me. He has asked me so many times to forgive him and I told him that the most important thing is to forgive himself,” she said.